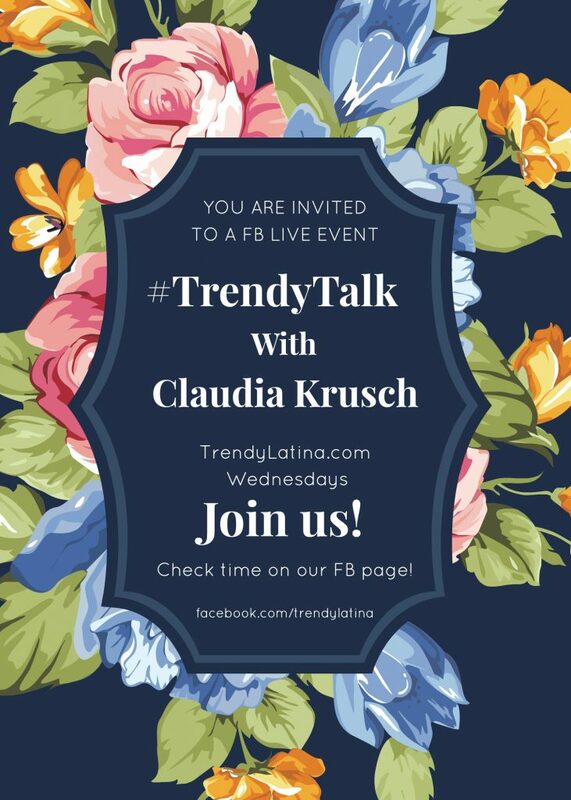 I can’t begin to share how excited and grateful I am for all the support on the first installment of my new FB Live Show – #TrendyTalk! The idea behind the show was to bring some of my favorite topics from the blog to the screen and start a conversation with questions everybody wants to ask. I was extremely lucky to have Chef Ronaldo Linares as my first guest! (He is the head chef at Martino’s Cuban Restaurant in Somerville, New Jersey.) 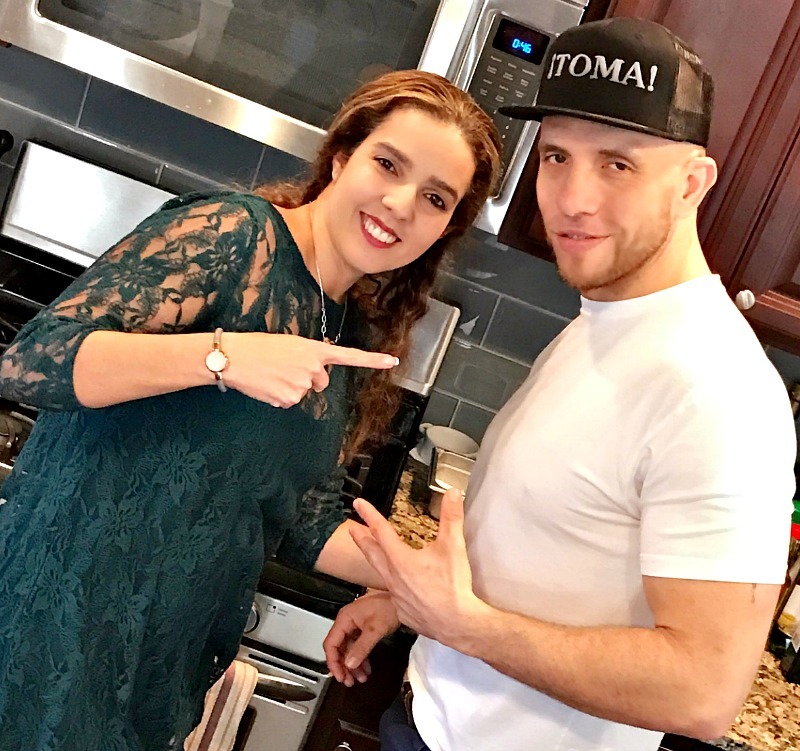 We talked about Cuba, Latin roots and his choice to make a healthy cookbook with latino recipes! The Sabores de Cuba book is amazing and carries the ADA seal! I’ve been cooking with it since I’ve had the pleasure to be introduced to it by Chef Ronaldo! Chef Ronaldo shared two amazing recipes with us: Mango Salad and Ceviche. Trust me, they were sooooo good! 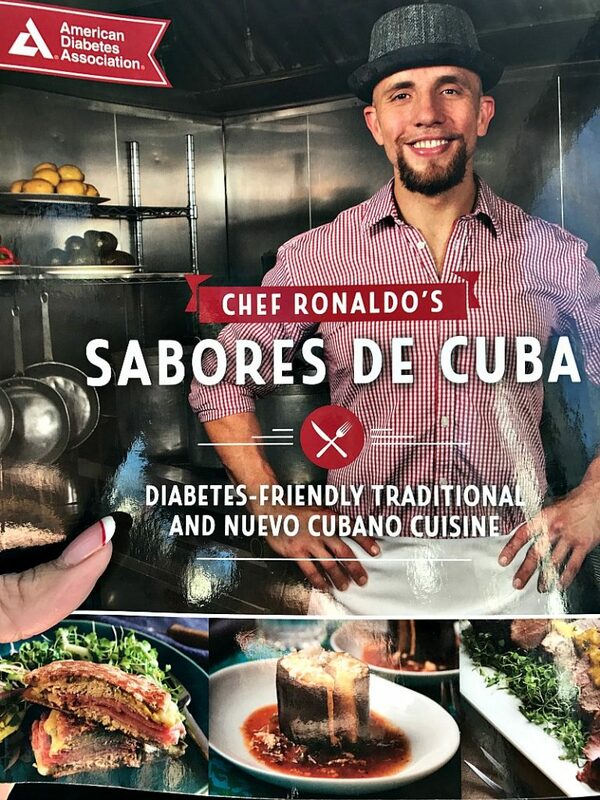 Recipes on the video can be found in Chef Ronaldo’s book. You can also connect with him on Twitter, Instagram and Facebook. I can’t wait to bring a new guest next Wednesday! Hope you get a chance to tune in! Can’t wait to hear your thoughts and as usual, give us a Trendy Shout! I missed the live video but caught the replay. It was a fun video, and I’ll be sure to tune in for the next Facebook Live. How fun and exciting to start Trendy Talk. I’ll have to check out your FB live episodes as well as the book on Amazon. Congrats on your new adventure, that sounds really exciting. The mango salad looks like a total winner. Just in time for spring. What a fun interview. Good for you. And that mango salad sounds delish. I’ve got to make that ASAP! I wish you the best with your new series. I think it is cool that you get to hang out and learn how to cook from real chefs. Cooking isn’t my strongest skill. I wish that I knew how to make those pretty dishes and desserts and serve them on a pretty plate. This would be such a fun event to go to!! Great post!! That would be a really cool experience. My wife and I love to play around in the kitchen and to watch the best would be amazing. What a great experience! I love meeting celebrity chefs! They are so cool in real life! I learn so much from them! I haven’t had a chance to use Facebook Live yet but I love watching the live broadcasts. This is such a great idea. What a great opportunity to work with Chef Ronaldo Linares. I will have to take time to watch your video. Congratulations on #TrendyTalk. I think it is a great way to take your site to the next level. I have wanted to try doing videos but I am camera shy. I just need to go out of my comfort zone. The food sounds amazing also. This is so great! I love watching videos, sometimes it is so much more real than photos! Looking forward to see what you do going forward! I hope your show continues to have success. I can see the hard work you’ve put in. Wow, how awesome! I love Cuban food, so I can’t wait to watch! That is so so cool! Good for you to take on FB live with a weekly show! I’ll definitely have to tune in! It must have been so exciting to meet him. I would love to try the mango salad. What a fun experience! He seems pretty awesome! Woah this is so cool! That dish looks amazing and it seems like so much fun. My husband loves to cook, and getting him a cookbook like this would be a great gift for him. How awesome that you got a chef to be on your show! That’s so great for you. Congrats! How exciting. I’d love to get into the minds of some chefs who create their own unique recipes. I want to know how they do it. So fun! I want to check out the cookbook. I bet there are so many good recipes in there. How fun to be able to meet him! I’m thinking I need to order this cook book! I bet there are some great things in there. I bet he can whip up some real tasty dishes. I got a taste of authentic Cuban food when I was in Cuba a few months back and it was really good. I am betting his meals are just as good. What a great experience! I bet that cookbook is loaded with must try recipes! How cool he was your first guest! Looks like he has a lot of great recipes. Claudia, you have some personality. You and Chef Ronaldo should start your own cooking show, because your Facebook Live this week was so entertaining. I saw this live on Facebook, and it was awesome. I love to watch chefs cooking, I always learn so much. I will have to check out your show. I look forward to watching future installments. Your first guest is amazing. What an amazing show you did. I love this and the recipes sounded so good. I am so making this recipe this weekend. Oh, wow – what a cool experience for you! I would pick his brain! Everything looks so delicious! This would be such a fun thing to do. I was able to interview a chef once and it was amazing. He was so approachable and an amazing cook. What an amazing opportunity! I’m a total foodie, so this would have made my year! I think you must have been so excited to interview a chef. I love it. Um YUM!!! That book likes sooo good! How cool to get to gain awesome knowledge from a chef. Facebook Live is such a fun way to connect. Love your chat with Chef Ronaldo. Despite just having eaten, now I’m starving. I love the idea of doing a Facebook LIVE with a guest weekly! That was a great interview. I can’t wait for more! That mango salad looks so fresh and delicious! I’ll have to check out the cookbook for more. Fun show! That would be such an honor! I would love to get inside the mind of a chef just to see how the tick! I am not much of a cook so I would love to learn more.